A pair of Silicon Valley heavyweights updated their popular iOS apps on Tuesday, with Dropbox allowing users to upload files via iOS 8's sharing menu and Google unveiling a redesigned, universal version of its Play Music app. 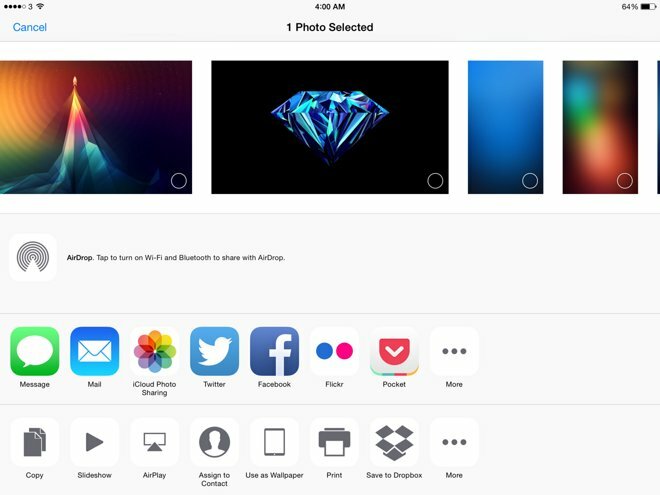 Dropbox now acts as a sharing service for users running iOS 8, meaning any document that can be shared by the operating system's built-in functionality can be uploaded directly to dropbox. This removes the need for users to open the Dropbox app itself or save files to Dropbox from third-party apps specifically designed to do so. After updating, Dropbox can be added to iOS's sharing options by sharing a file —such as a snapshot in the Photos app —then tapping the "More" button and toggling "Save to Dropbox" to the on position. Rearranging the options within the "More" menu will change the order in which they appear on the share sheet. Dropbox also promises bug fixes and improvements for moving and deleting files, printing and exporting, RTF previews, and password-protected files. At press time, the Dropbox app was experiencing availability issues on the App Store. When it returns, version 3.7 will be available as a free, 60.9-megabyte download. 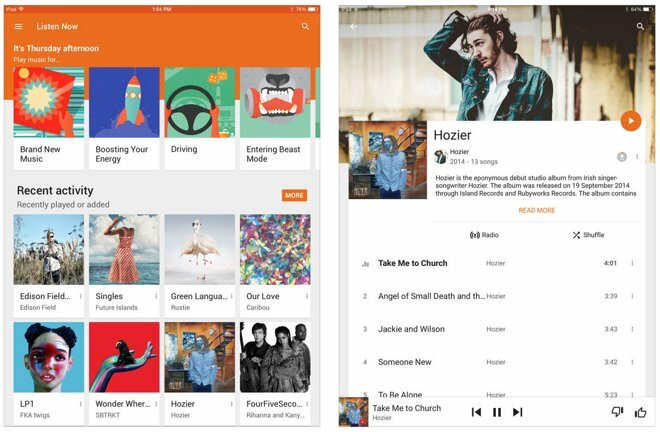 Previously an iPhone-only affair on iOS, Google Play Music now supports both Apple's handsets and its tablets as a universal app. At the same time, Google overhauled the app's user interface to bring it in line with the company's new "material design" language. Among the refreshed interface components are new artist and album pages with descriptions, an updated "now playing" view, and other "small visual improvements" around the app. The company also promises improvements to streaming and automatic caching to enhance the speed and reliability of music playback. The app was last updated in November to add support for the iPhone 6 and 6 Plus. Google Play Music version 2.0.3828 is available now as a free, 12.3-megabyte download from the App Store.